From 1949 until 1976 the Palais Schaumburg in Bonn was the seat of the German Chancellor. 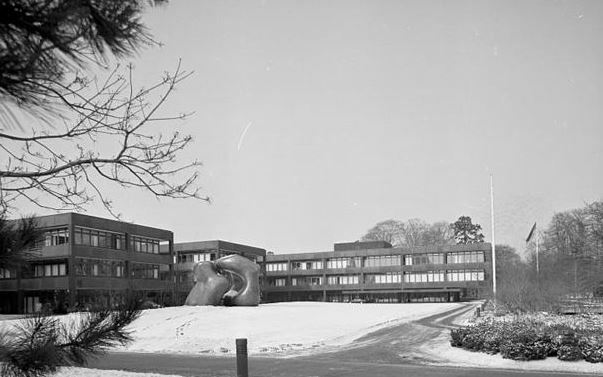 In 1976 the Chancellery was moved to a newly constructed building just a few metres south of the Palais Schaumburg and remained here until 1999 when the Federal Government was shifted from Bonn to Berlin. The site on which the new Chancellery building in Bonn was constructed has an astrogeographical constellation of 2° in the air sign Gemini and 5° in the earth sign Taurus. This correspondence is valid for astrogeographical radius level 3, which shows how the building is embedded in the surrounding area. Really fascinating and important here is that the line of 2° Gemini is valid for morphogenetic radius/field level 3 at the sites of both newly built Chancelleries of Germany, the one in Bonn as well as the one in Berlin. 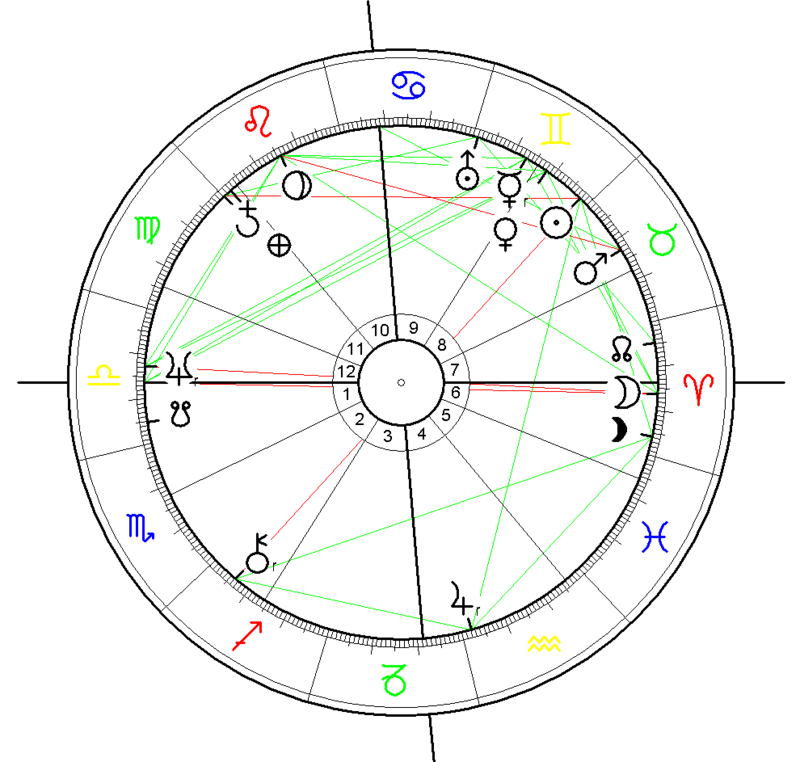 2° Gemini is exactly the position of the Sun in the astrological chart for the foundation of the Federal Republic of Germany on 23 May 1949 at 17:00 in Bonn. 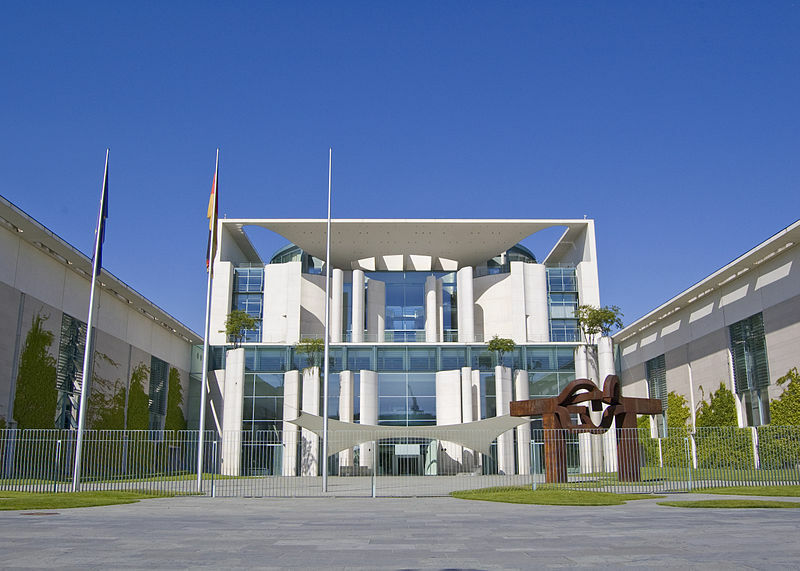 The new chancellery in Berlin is located at 2°Gemini and around 22° in Capricorn and right on the IC of the Chancellery building, an aspect which makes the new central government position a straight home for the constitution of 1949. The two newly constructed chancellery buildings in the history of the Federal Republic are both situated with their respective centers exactly on the astrogeographical correlation line of the Sun position from the foundation chart of Federal Germany at 2 ° Gemini !!! This is another outstanding example of the great precision of astrogeography and of how people when planning such buildings seek the adequate places for their energetical topics and spiritual needs in the landscape. Astrological Geomancy – what is it?